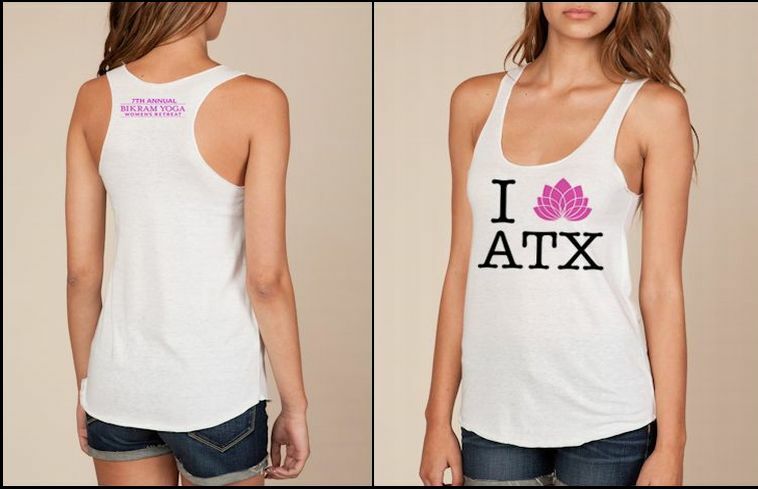 The Official 2013 Retreat tanks have JUST ARRIVED— pre-order today! Pick your tank up during Event Registration on 8/1/13! 50% polyester, 38% cotton, 12% rayon. Casual, comfortable, eco-friendly. Loose-fitting, as shown in pictures. Available in white — Small, Medium, Large sizes.